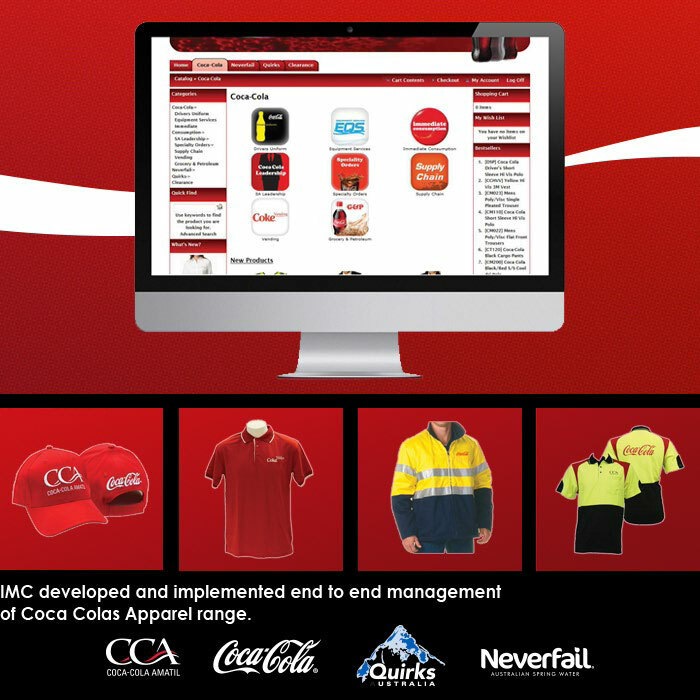 Since 2005, IMC have collaborated with Coca Cola to provide end to end management of their Corporate Apparel range. From concept to creation and fulfillment, IMC have continually delivered innovative garments to Coca Cola’s 25,000 team members nation wide. IMC underwrites and manufactures the range via its’ network of audited factories in Australia & China.